In some circles, a new Coen brothers‘ film is more hotly anticipated than the next Batman. Those are my people. Joel and Ethan Coen have crafted among the most impressive set of movies of any American filmmakers. Though there are certain thumbprints that mark a film as theirs, they never cease to surprise in the art they produce – which, as often as not, is art for art’s sake. And this is the very theme of their latest effort, Inside Llewyn Davis. An immersive experience that takes you directly to the heart of the 1961 Greenwich Village folk scene, the film shadows the titular, beleaguered artist for just a few days as he tries to survive both winter and his chosen field. The film opens onstage, as Llewyn (a fantastic Oscar Isaac) sings in the smoky Gaslight Club. It’s an intensely intimate segment, and Isaac performs not a snippet, but an entire number. His performance is exceptional, and it tells you more about Llewyn than the next 90 minutes are bound to share. Isaac and the brothers offer a superbly nuanced character study, so understated as to be almost hypnotic. Isaac’s world-wearied stare and infrequent songs do the majority of the work, but his adventure – as brilliantly written as anything you’d expect from the Coens – captures your attention. Enough can’t be said about Isaac’s performance, both as an actor and as a musician, because the role requires much from both. He shoulders nearly every second of screen time, offering enough self-destructiveness, tenderness and ego to keep you believing in his trials and almost reluctantly rooting for him. He’s aided by enigmatic performances in wonderfully odd roles. Coen regular John Goodman adds color as an aging jazz man, while Carey Mulligan spits inspired insults, and Justin Timberlake plays convincingly against type as the group’s square. It’s not just the performances or the writing that make this film so languidly watchable, but the magically depicted setting – so unerringly authentic that you feel you’re inside a Bob Dylan album cover. Between that and the music – so, so many points made simply with the music – the film shines. 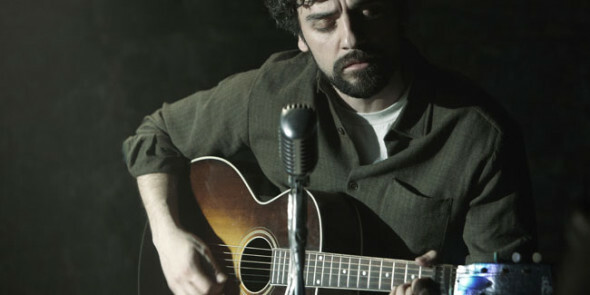 But what sets Llewyn Davis apart from the rest of the Coen stash is its lack of cynicism. Sure, with some battered years under his belt as a musician, not to mention his deeper scars and struggles, Llewyn holds a defensively cynical outlook. But he’s hopelessly true to his art. Can’t imagine where he got that.